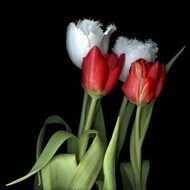 The white color has always been associated with the idea of purity and flowers enjoy the same image among sensitive people. 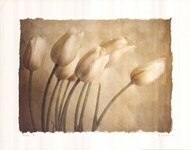 It comes as no surprise that white Tulip prints are a great sight wherever the owner chooses to display them, with such artwork being universally accepted as elegant. 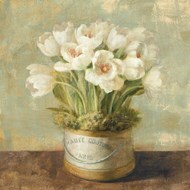 Even a simple photograph of these flowers would serve the purpose, but if you seek a more artistic representation, then you won’t be disappointed with what ChefDecor.com has to offer. 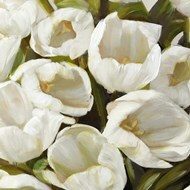 White tulips are a great choice for a gift on formal occasions, because these flowers are suitable for a broad spectrum of events. 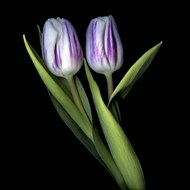 Weddings and engagement parties are such opportunities to bring these beautiful flowers, but even white Tulip posters will have an impressive visual impact. 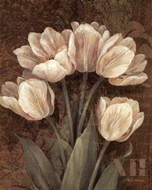 A single flower is enough to brilliantly capture the message, but the more the merrier, which explains why most white Tulip prints feature a bouquet, or a vase full of tulips. 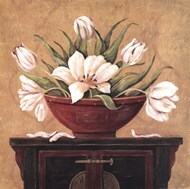 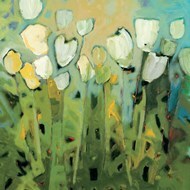 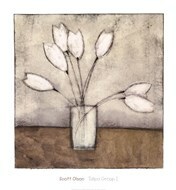 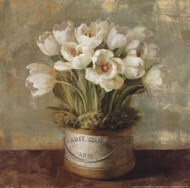 Over the course of time, gifted painters have dedicated their energy and resources to create amazing white tulip paintings and some of them are available at ChefDecor.com. 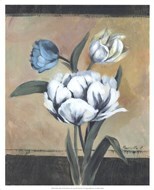 Conrad Knutsen and Cristin Atria have a couple of excellent White Tulip posters displayed here, which would make a great starting point for anyone willing to assemble an entire collection. 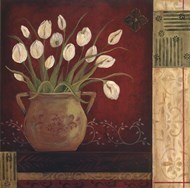 These flowers will grow on you and even if you start with a single white Tulip printing, it is very likely that more will follow and by the time you realize it, an entire room could be devoted to such artwork.